Do you have an idea in mind that needs to be brought to life? The artwork I do is drawn up traditionally by hand using a variety of traditional media to get the job done. 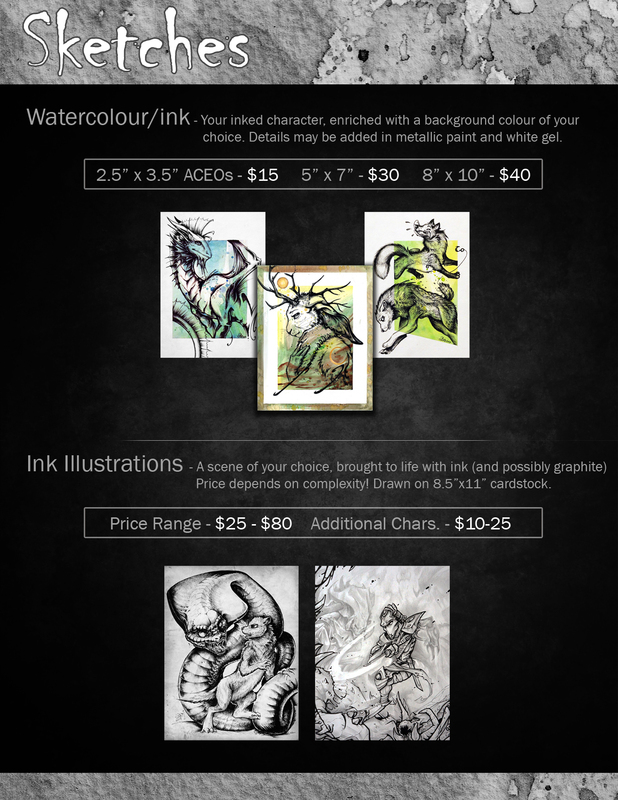 I also ship the original work for an extra shipping fee, internationally, via Canada Post, so you may choose to own the original of your commission! Furthermore, I combine shipping for multiple orders. 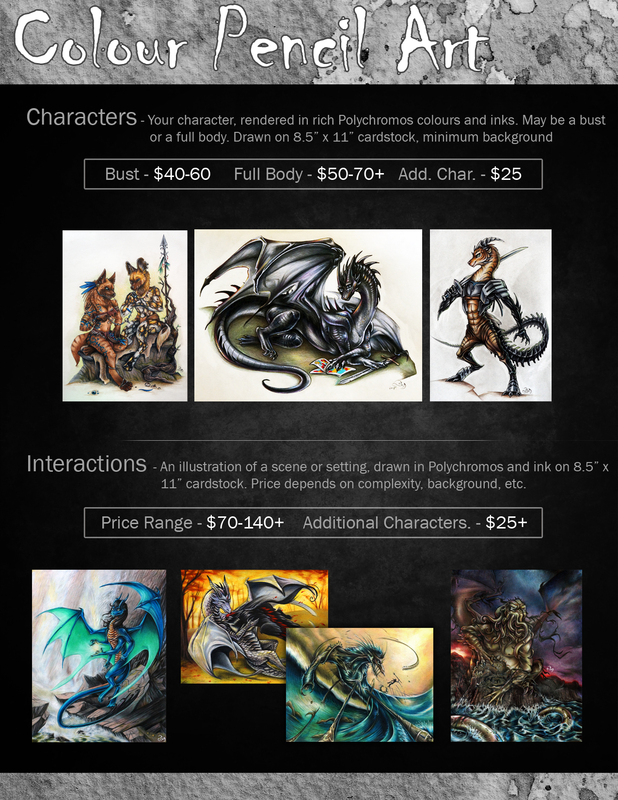 Upon ordering a commission from me, you accept my terms of service, which you may access in the link above. 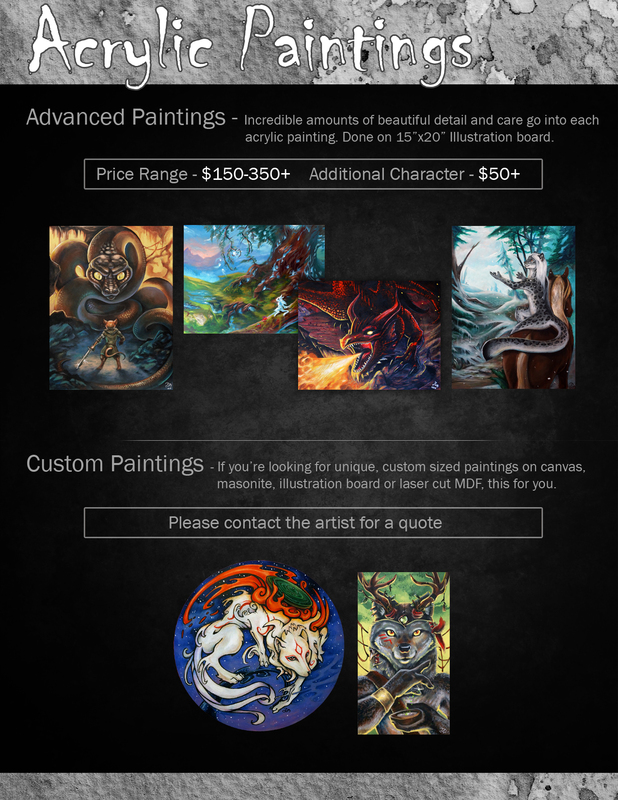 If you are interested and would like a quote for your project, please contact me using the links to the right!